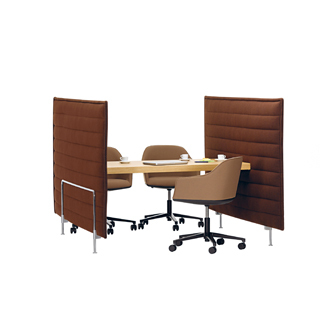 Alcove Meet by Vitra is a meeting table for up to six people, fastened between two padded, sound-absorbing Alcove panels. The two screens enclose a free-standing meeting area. When combined, multiple Alcove Meets can be placed end to end to form a long row of tables. 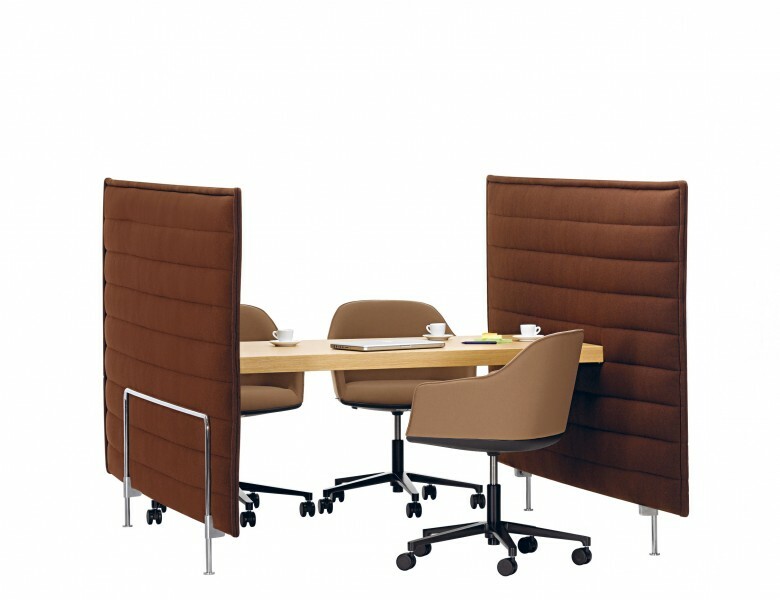 Thus, an entire central meeting area can be created without complicated installation work. All elements of the Alcove family can be combined with one another to create a landscape of numerous possibilities for new Meet & Retreat areas, while maintaining a visually and formally harmonious language.